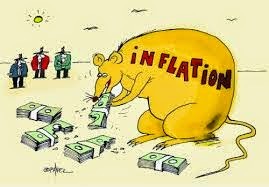 The villain is back in action: The inflation has surged to a three and a half year high of 7.51% for the week ending July 24, 2004. One school of analysts observe that the present rise in inflation is more of “cost push” nature. The rising prices of fuel, iron ore etc., are supposed to be the real culprits that have led to high inflation in the country and hence suggest that this could be managed by lowering prices and import duties. There is another school of thought, which states that the present inflation is because of growing money supply at a higher rate than desired, resulting from the accumulated Forex reserves. There is yet another school of thought, which states that, the present inflation, being an imported inflation, owing to spiraling oil-prices, needs to be managed by scrapping ad valerum tax etc. Whatever may be the underlying reasons for the current rise in inflation, one thing is certain—it has spooked the market. The yield on 10-year benchmark government security has gone up from 5.06% in the first week of April to a high of 6.28% by second week of August 2004. The sharp reaction of the market is understandable, since expected inflation owing to rising international oil prices in a deregulated market is technically bound to impact the bond rates. Secondly, in the light of conflicting reports emanating from government sources, every market player is keenly waiting of government’s action to arrest the inflation. Everyone is wondering: Will the government reduce import duties on oil products; will it raise interest rates; will RBI tinker with interest rates? Whatever may be its action, the government must make its intentions clear to the market players as such transparency alone help businesses to draft their own strategies to maintain their competencies. The article “Bond Yield and Inflation Expectations: A Study of Indian Bond Market” empirically tests if expected inflation as measured by moving average of past inflation determines the yield on Indian government securities. The study also verifies the relationship between the bond markets of USA and India using bond yield data for long-term securities against the expected inflation during the period 1996-2002. A linear regression technique is used to determine the relationship between the variables of bond yield and expected inflation. The study reveals that the bond yields in Indian market too started reflecting the expected inflation dependency. It is also inferred that the yield dependency on expected inflation has become significant after RBI had launched the bond market reforms during 1997-98. It is thus evident that the reforms have brought the yield determination process in line with market realities, which is hitherto considered the hallmark of only developed markets like USA, Canada etc. The studies carried out to analyze the problems associated with Non Performing Assets (NPAs) in Indian commercial banks have revealed that bank specific characteristics, such as ownership or adherence to prudential norms, do not suffice to explain inter bank variations in NPAs. Against this backdrop, the article “Determinants of NPAs in the Indian Public Sector Banks: A Critique of Policy Reforms” makes an attempt to find out the causes for accretion of NPAs and the reasons for its perpetuation at higher levels among the commercial banks. The article points out that a high degree of arbitrariness is prevailing in the definition of NPAs as it fails to capture diversity in terms of seasonal and cyclical nature of economic activities in India. It identifies random reasons for default in a simplified framework of a Poisson process. It argues that financial notion of NPA, as a mere risk phenomenon, is inadequate, since a number of reasons leading to non-random generation of NPAs are related to the phenomenon of ‘uncertainty’. The authors believe that availability of secondary asset market would have taken care of NPA problem, but lament that, no such favorable atmosphere is prevailing in India. The article also evaluates various policy measures that have been imposed to improve the NPA scenario in the country and concludes that one set of policies, which grants greater autonomy to the PSBs, is proving to be quite effective in restricting formation of fresh NPAs, while the second set, associated with recovery of loans, has failed miserably in delivering the goods. The article concludes that, accumulation of NPAs is as much due to the malfunctioning of banking institutions, as it is due to the external institutional environment such as defaulter-friendly legal system etc. Businesses, as a part of their sales promotional techniques and strategies, offer ‘credit’ as an incentive to their buyers. But, collection of book debts has been one of the haunting tasks for all the businesses. Businesses have been looking forward for someone to manage their credit portfolio, and that is where factoring has stepped into corporate world. Factoring is considered an effective tool to manage working capital. During 1998-99, the credit market, available for factoring in India, was estimated at Rs. 49364 cr. The article “Marketing of Factoring Services with Special Reference to SBI Factors and Commercial Services Ltd. Mumbai, India” examines the current state of factoring market in India, and in that context analyzes the performance of SBI factors during the period 1994-95 to 2001-02. The study reveals that SBI factors have been posting a compounded growth rate of 17.24% under total income earned by them. It is also observed that, the share of SSI clients to the total business of SBI factors is declining from 1997-99 onwards. The article has also studied the prudential distribution of risk of SBI factors and found that the risk is spread across all the market segments quite rationally. The study also lists out the marketing problems presently being faced by SBI factors and suggests measures to promote growth in terms of volumes and profit. With the drying out of credit off-take, Indian banking system has been suffering from liquidity overhang for the last two to three years. As a measure to deploy the liquidity and earn reasonable return on the capital, banks have resorted to ‘retail trading’ in a big way. Some sections are of the opinion that, in a way this has pampered undesirable consumerism in the country. Against this backdrop, the findings of the article “The Effect on Personal Finances Due to Irresponsible Use of Credit Cards and Compulsive Buying Behavior” has interesting revelations to make. 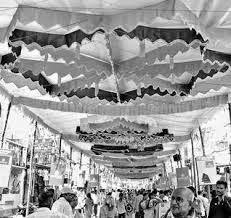 The authors have carried out a survey and collected data on compulsive buying behavior among Indian consumers from the cities of Delhi and Hyderabad. They subjected the primary data so collected, to discriminate analysis, and found that the use of credit card is the significant variable that is associated with compulsive buying behavior. The study concludes that, irresponsible use of credit card that facilitates compulsive buying behavior, is ultimately found to adversely impact the management of one’s personal finances. With the advent of World Wide Web services, corporates are making use of Internet for reporting their performance, besides using it as a means to reach out to their customers. However, no literature is available on the current usage of Internet in India for financial reporting by the companies. Against this context, the authors in the article “Reporting on Internet by Indian Banks” have studied the usage of Internet in India for financial reporting by banks and presented their findings. The study reveals dramatic changes in corporate reporting on the Internet. The findings indicate that 94% of the banks examined are found to use a section of their website for presenting some financial information, while 85% of them provided accounting information by presenting profit and loss and balance sheet. Higher levels of Internet reporting are observed among the private sector banks. The study concludes with an observation that the banks are not making full use of Internet for disseminating financial information.